UPDATE: TaiG 2.1.3 iOS 8.3, iOS 8.2 and iOS 8.1.3 jailbreak is now out for iPhone 6 Plus, iPhone 6, 5s, 5c, 5, 4s, iPads and iPod touch. You can download it from here. It is currently available for Windows only. UPDATE x2: Apple has released iOS 8.4 and with it TaiG has updated their tool to a new version with support for jailbreaking iOS 8.4. 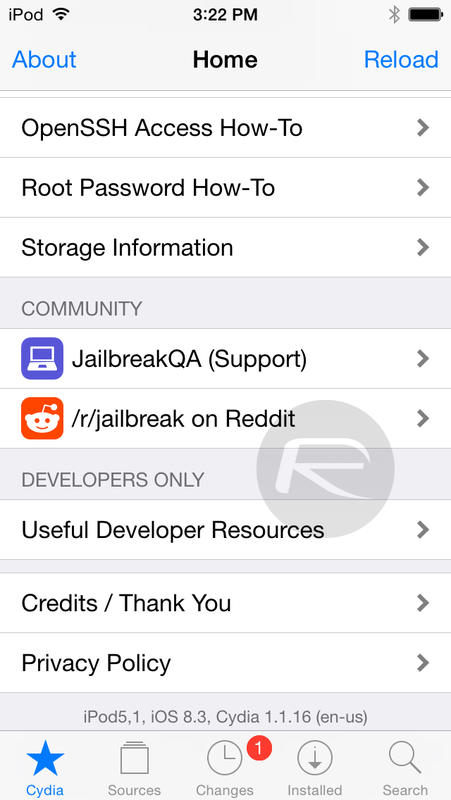 For more on TaiG’s iOS 8.4 release, check out: Jailbreak iOS 8.4 With TaiG v2.4 On iPhone 6, 6 Plus, 5s, More [Updated]. Jailbreak exploits used in previous versions of Pangu, TaiG and PP jailbreak tools for iPhone, iPad and iPod touch were patched by Apple with the release of iOS 8.1.3 in January this year. Later with iOS 8.2, Apple patched even more exploits that were needed to make Pangu8, TaiG and PP jailbreaks to do their magic. In March this year, TaiG team hosted Mobile Security Summit in Beijing where they provided an update on jailbreak progress. Apple released iOS 8.3 in April, patching yet another exploit of TaiG. After the release of first beta of iOS 8.4 in mid-April, i0n1c immediately came up with a video showing his jailbreak for iOS 8.4 in action on an iPhone 6. In May, it was reported that Apple was reportedly working on a new security system called ‘Rootless’ which will make jailbreaking very difficult to achieve on iOS 9. Right before WWDC, another Chinese team Pangu successfully demoed iOS 8.3 jailbreak at MOSEC, they were reportedly planning to release it as soon as Apple were to roll out iOS 8.4 to public. At WWDC in June, Apple released iOS 9 beta 1 and iOS 8.4 beta 4. TaiG maintained that they were concentrating on an iOS 9 jailbreak and had no plans for iOS 8.3 or 8.4 jailbreak. Soon after iOS 9 beta 1 was released, Chinese jailbreak team ‘Keen’ with the help of Pangu were said to be working on a jailbreak for iOS 9. TaiG maintained that they too were only concentrating on releasing iOS 9 jailbreak later this fall. On June 23, out of no where, TaiG surprised everyone by releasing TaiG v2 for jailbreaking all devices on iOS 8.3, iOS 8.2 and iOS 8.1.3.
iPhone 6 Plus, iPhone 6, iPhone 5s, iPhone 5c, iPhone 5, iPad Air 2, iPad Air 1, iPad 4, iPad 3, iPad 2, iPad mini 3, iPad mini 2, iPad mini 1 and iPod touch 5. Written tutorials and download links of TaiG v2 are linked at the top of this article. We will keep this post continously updated with all the latest info and updates regarding TaiG iOS 8.3, 8.2 and 8.1.3 release. Virus is a false warning. TaiG is safe to use. And it’s not BS, it works, as you can see in our video tutorial. Thank you. Conspirating? All I can say is after following the instructions to the letter, including deleting iTunes and reinstalling the suggested version, there is no activity and the jailbreak does not work. It tells me there is no I device connected and I get numerous virus warnings. All previous jailbreak versions have been successful, this one has not worked on two different computers and both have different virus protection software. I can only report what is happening in my experience. Is the Mobile Substrate updated for 8.3 yet or is it still outdated? Stuck on 60%? help please! can someone help me for “Apple driver anomaly. Please check”. i’ve reinstalled itunes 3 times, trying different version, but not works. my device was recognized on itunes, on my computer or on my itools. i’m trying with old version of taig; it recognize my device, but not in 2.1.2 version. Still doesn’t work.”ve done all the steps and recommended fixes. My iPhone 6plus still gets stuck at 60% not matter what I do. Reboots, driver install old and new iTunes. Geez, attempting to jailbreak with antivirus software running? That’s a big no-no! Disable all your antivirus/antimalware software BEFORE attempting the jailbreak and see if that helps out! I’m in the same boat. Sitting happy and jailbroken at 8.1.3 for the time being. I really want to see if 8.4 patches these exploits…. 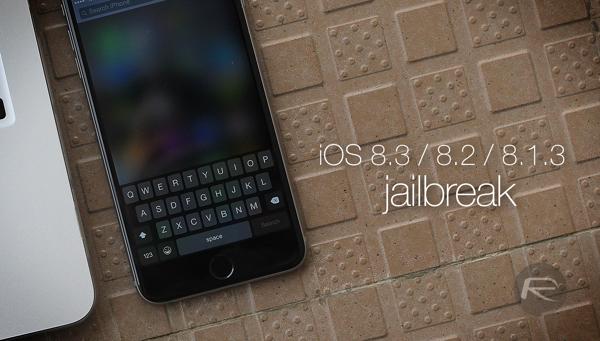 If you’re on 8.2, you couldn’t jailbreak before Taig v2. There’s no reason why you shouldn’t go to 8.3 and jailbreak it. Same here I don’t jailbreak on OTA. I’ve always done all my updates via iTunes. For those stuck at 60% backup your device, factory restore using DFU, and try again. Worked for me last night on TaiG 2.0.0 before 2.1.2 was released. i didnt put my iPhone 6 plus in dfu mode and it still work. did you remove all apple component from (uninstall the program) and restart computer.and than Install iTunes 12.0.1.26 32/64 bit, if you need backup, backup and then Restore your iPhone to 8.3 with the iPSW and apply JailBreak? Great !!! Thanks guys !!! Apps don’t update after jailbreak!!! Did a backup full restore and restore the backup still 60% injecting. I’m a little lost here. I have downgraded iTunes successfully, now it’s on 12.01, but I don’t remember if my phone was updated OTA or via iTunes. I have Norton 360 as my anti virus, but I disabled it for the jailbreaking process. I was getting the 60% problem too, and rebooting my device while jailbreaking causes the utility to crash. In addition, while the jailbreak process was going on, using an app would cause the phone to hang, so I had to do a hard reset. I rebooted both my phone and PC after the 60% error, but it seems that doing so has done nothing to help. I’m currently backing up my iPhone via iTunes, and I’m gonna try to restore. Anyone missing the Passbook and Apple Pay option in Settings after JB? Downgrade iTunes bro once you do that your good to go! Trust me I had the same problem. This update works on parallels? guys i have the latest version of itunes , but he tell me , (apple driver hasn’t been found , please download and install itunes )! I’m 8.3, previously JB on 8.3 but my message app wouldn’t load at all! Restored back to normal and now when I connect it recognises my phone on 8.3 but the start button doesn’t go green. Anyone come across this? After spending hours yesterday when I managed to jailbreak my Ipad air 2 but not my Iphone (was stuck at 20% rebooting), I finally managed to jailbreak my iphone 6. Used last Itunes and last Taig version and itunes64 drivers but very important I did delete all my iphone this time. So I guess the safest way is to deleted all the iphone, update it with a fresh firmware. Obviously you will be able to restore a backup after that. How come when I slide a notification on the lock screen it won’t open the app it just unlocks my phone? after i jailbroke my phone cydia wasnt working, so i decided to reset my phone, when my phone came back on it had my background, my service, my battery %, the time but at the bottom it is a grey rectangle! pls help! restored to 8.4 via itunes.